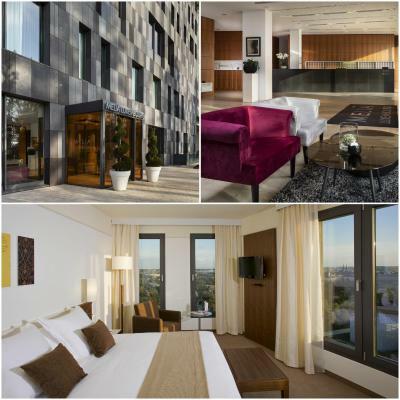 Lock in a great price for Melia Luxembourg – rated 8.8 by recent guests! Breakfast is always very nice. Staff is very helpfull and competent. The staff was very friendly and helpful. The breakfast was amazing with lots of choice. Very good coffee. The bed was confortable and de airco very silent. Not that close to main Luxembourg's attractions but there is public transport just in front of the hotel which made our stay very pleasant. Very decent 4 star hotel, friendly staff and good location. Very attractive and comfortable hotel outside the city centre but with good access through public transport and on foot. Staff friendly and helpful, hotel spacious, clean and well-serviced. Breakfast very good and will prepare some items on request. Tea/coffee in rooms. Area immediately around the hotel green, beautiful and the Museum of Modern Art within a couple of minutes walk. Good access to other excellent restaurants in addition to hotel facilities. The hotel is in a very nice area of Luxembourg City, although far away from the centre. 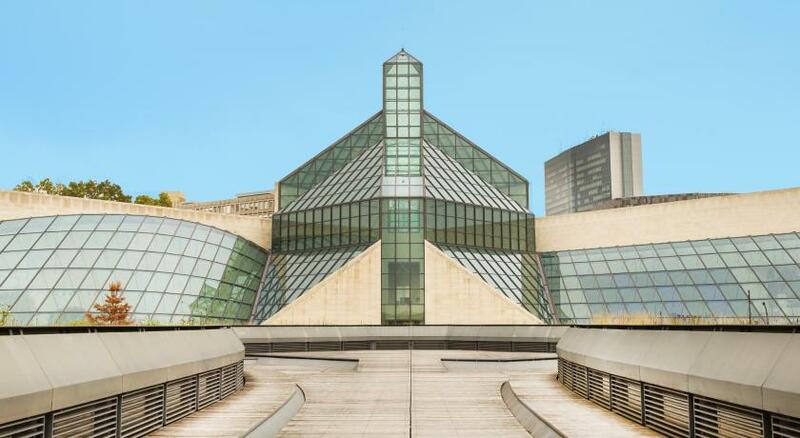 It is a stone's throw away from MUDAM and the Philharmonie Luxembourg. The common areas are extremely clean and beautifully decorated and the rooms large and comfortable. The beds are enormous and very pleasant. The breakfast is lovely and offers a great food selection. Breakfast was far too expensive and too big. Why pay for things I didn't want? 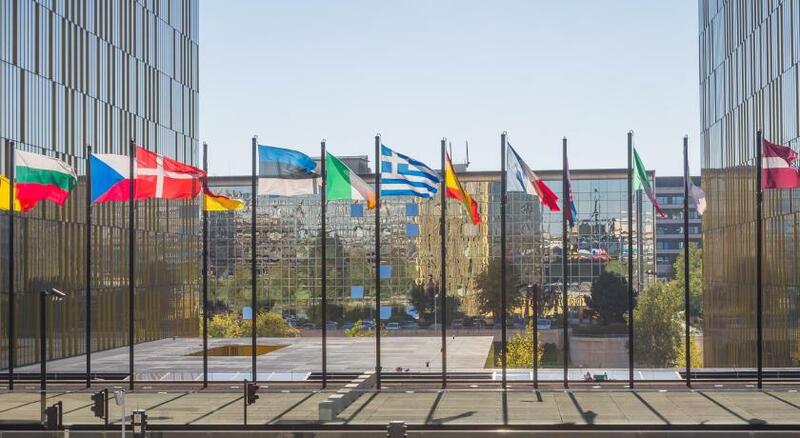 Melia Luxembourg This rating is a reflection of how the property compares to the industry standard when it comes to price, facilities and services available. It's based on a self-evaluation by the property. Use this rating to help choose your stay! This luxurious Ecolabel designer hotel is on the edge of the Kirchberg area and EU institutions in Luxembourg, next to the MUDAM. Featuring free Wi-Fi, the Melia provides modern rooms and has a fitness area, a sauna and a modern restaurant with a terrace. Flat-screen satellite TV, a minibar and a work desk are standard in the air-conditioned rooms at Melia Luxembourg. Each room also has extra-long beds and a sitting area. AQUA Restaurant serves Mediterranean cuisine in a casual, yet stylish setting. Guests can enjoy an extensive breakfast buffet every morning at GOYA Restaurant or cocktails at the AQUA Lounge in the evening. 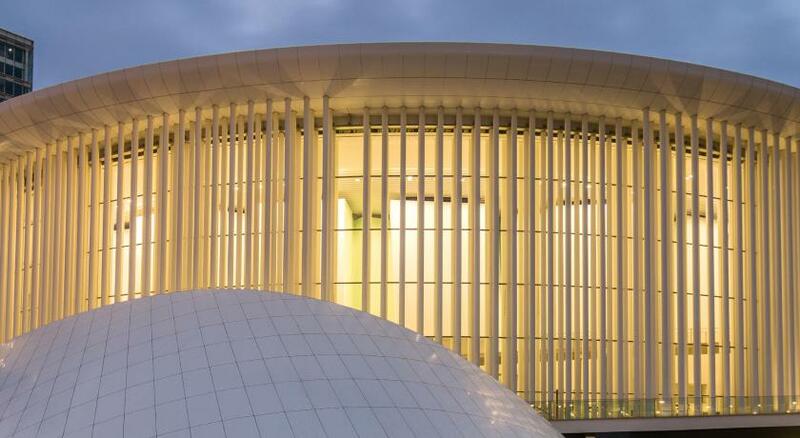 The Luxembourg Melia is less than 150 feet from the Luxembourg Philharmonic. 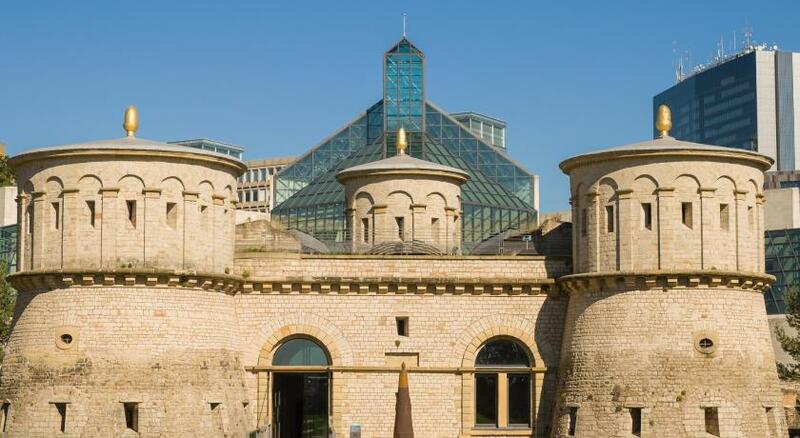 The historic center of Luxembourg, including the Place d’Armes, is just under a mile away. Cars can be rented for a fee on site. 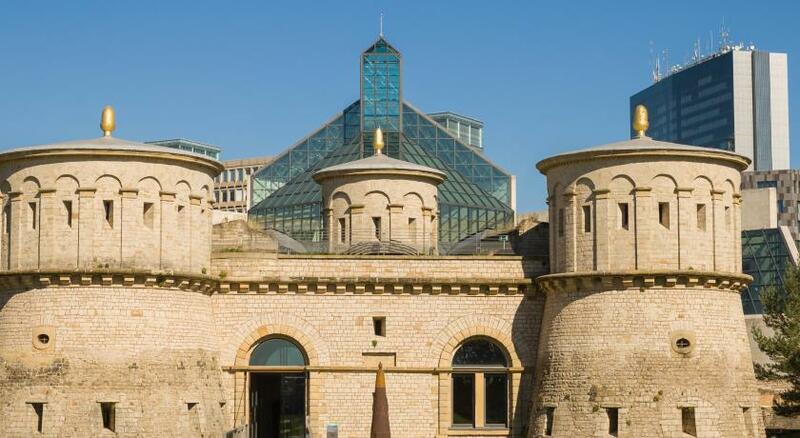 Luxembourg City and the Train Station are a 5-minute bus ride away. The nearest bus stop is in front of the hotel. When would you like to stay at Melia Luxembourg? All standard double rooms come with views over the financial district and Place de l´Europe. The elegant and bright rooms are designed and equipped to ensure maximum comfort, with superior materials and fabrics and a modern and elegant style. The rooms comes with a flat-screen satellite TV, a desk and mini-bar. This air-conditioned room also has a private bathroom with shower or bath, a hairdryer and free toiletries. Specially designed for business purposes, the business double rooms Meliá Luxembourg offer exclusive services. All the rooms come with a view of the city or a view of the Place de l´Europe and financial district. Free internet and access to the Level Lounge are included for this room type. Located on the 8th floor, this elegant suite provides a panoramic view of the city and the Dräi Eechelen Park. The suite is fitted with 2 bathrooms, 2 bedrooms and an en-suite lounge. It is suitable for both business and leisure purposes. Hotel surroundings – This neighborhood is a great choice for travelers interested in shopping, cleanliness and city trips – Check location Great location - show map Guests loved walking around the neighborhood! House Rules Melia Luxembourg takes special requests – add in the next step! Melia Luxembourg accepts these cards and reserves the right to temporarily hold an amount prior to arrival. Please note that when booking more than 8 rooms, different group policies and additional supplements may apply. Many issues with the hotels that I would not expect that a Melia would have. Broken blinds on the bedroom. The night staff was completely alone in the whole building and he could not help us to fix the blinds (we were on holiday, we didn’t wanted to wake up with the sun on us). We also asked for pillows since we only had a very small one in our bedroom. They don’t have housekeeper after 10pm and the staff could not help us because he couldn’t leave the front desk alone. The hairdryer wasn’t working. I did ask to complain with the manager about the issues, the manager was not in the hotel in the. The morning staff was also alone and she told me that they would arrange me a different room with a working hairdryer and blinds. She also told me that she was going to pass my frustrations to the manager. No one gave me a feedback about my complains. Little thinks that you expect having trouble with an apartment in Airbnb, not a hotel like Melia. Very disappointed. Not able to stream videos from my laptop or iPhone to the tv. Staff are helpful, food was good. This time cleaning of the room was not very good..
Breakfast very good. Staff at the reception and staff helping at the breakfast was very kind and helpfull. The person making the omelettes is the king of good service, always helpfull with a smile! Restaurant is closed on Sunday night. you can order from the room service menu, but the choice is limited to 4 main dishes. Room very clean, modern. The breakfast was delicious close to the ECCL. Parking is next door, not a direct connection to the hotel. All good, the only issue is that there are no shops, bars, restaurants nearby. Comforter on bed was thin, bed was quite firm (though some may like that). It would have been nice to have robes in the room to wear up to the sauna. Parking next to hotel is quite pricey at 30EUR/day, but this is not the hotel's fault. Decent location next to the Philharmonie. Breakfast was great, facilities were clean and well kept. Staff was friendly. The friendliness and helpfulness of the reception staff. Excellent room, view, breakfast and reception service. Fantastic. 15/20 mins walk from the city centre.